It's a day like any other on the island while Donkey Kong and Diddy guard the Crystal Coconut. Diddy tries in vain to get past level three of his video game and Donkey Kong;weary from all the hard "work" settles down for a nap proclaiming that he wishes he could "sleep forever". Suddenly Kongo Bongo Island stands still! The Barrel Factory halts productions;Klump and Krusha's "fitness test" at the hands of King K. Rool seems destined to go on forever;the sun stops moving - all while the Future Ruler of Kongo Bongo snores away! 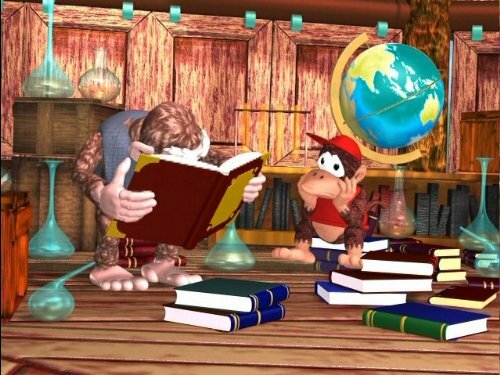 Cranky;Candy;Bluster and Diddy band together trying to break the curious spell before the Crystal Coconut falls into the wrong hands. With a little help from the idol of Inka Dinka Doo and King K. Rool himself;our sleeping hero is "kissed awake" just in time to save the day!